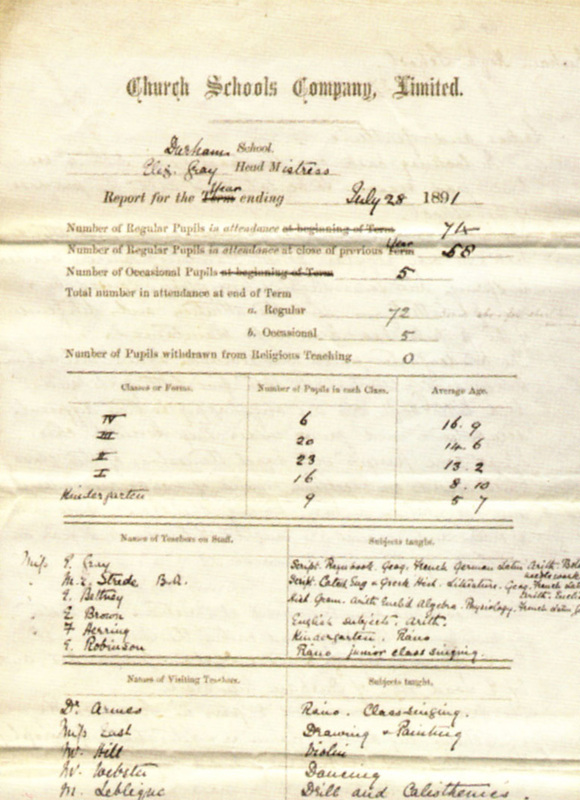 The Church Schools Company was created specifically with the aim of founding Day High Schools for Girls in accordance with the teachings of the Church of England. The success of Girls Public Day Schools Company schools over a ten tear period since 1872 had acted as encouragement and a spur to church people, a group of whom decided to form their own organization with a religious ethos. The Manifesto, issued in July 1882 following the completion of legal formalities, clearly stated that the Company’s main objective, a purpose which distinguished them from the Girls Public Day School Company, was: ‘To secure the …. co-operation of all …. 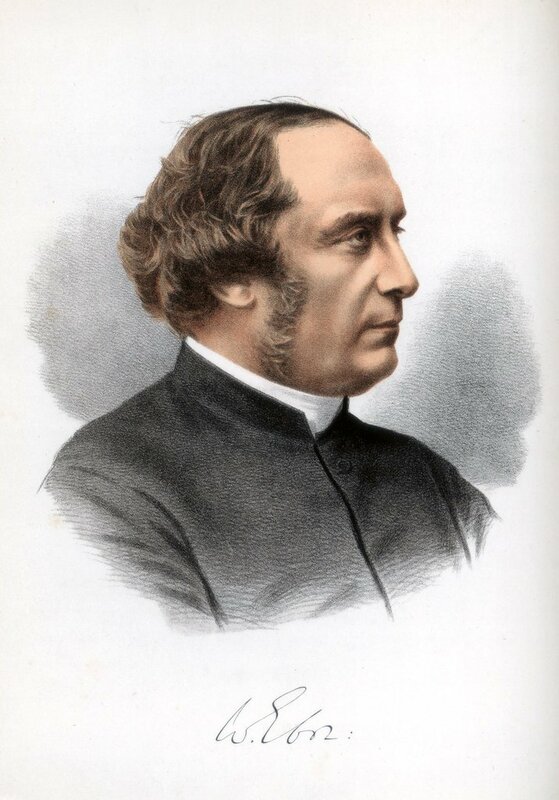 who acknowledge the duty of giving definite religious instruction as an essential part of Education.’ The suggestion was first put forward at the Central Committee of Diocesan Conferences and a preliminary meeting was held in the Westminster offices of the National Society (for Promoting Religious Education) on April 17th 1883. The Chairman of the Provisional Committee, and indeed the prime mover in the enterprise, was Canon William Emery of Ely. Others present included H. C. Raikes, M.P., the Hon, George Cubitt, Archdeacon Burney and Canon Gregory. 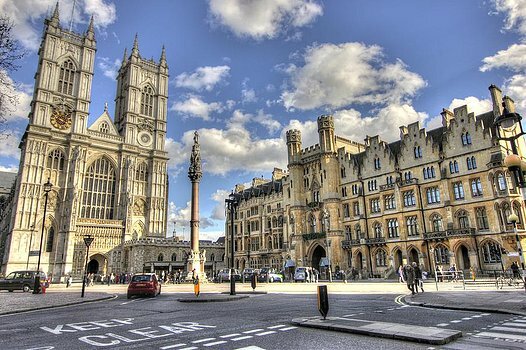 Westminster Abbey (left) and Dean’s Yard, Westminster Offices (right). The large Provisional Committee which was formed included the Archbishop of Canterbury (at that time, Edward White Benson), sixteen bishops and four heads of Cambridge University colleges in addition to several distinguished laymen. The Committee set about forming a limited Company to carry out their educational aims. The Company was inaugurated at a public meeting in Willis’ Rooms on 18th April 1883, with the Archbishop of Canterbury in the Chair. Archbishop Benson made an appeal for a capital investment of £100,000, of which half had already been subscribed, and a Council was appointed. That the school should be examined from time to time, both in religious and secular knowledge, by representatives of the Universities, or by King’s College, London, or by other competent persons appointed by the Council. On July 12th 1883, the Church Schools Company came into being and in October 1883 two sub-committees were appointed: a Finance Committee (afterwards called the Law and Finance Committee) and an Education Committee. The Company’s President was HRH the Duke of Connaught & Strathearn (Prince Arthur William Patrick Albert, the seventh child of Queen Victoria and Prince Albert) and its Patrons were the Archbishops of Canterbury (Edward White Benson) and York (William Thomson). The Company’s motto, ‘The Fear of the Lord is the Beginning of Wisdom’, was taken from Psalm 111 and its splendidly ornate crest is built around the coats of arms of the episcopal Sees of Canterbury and York. 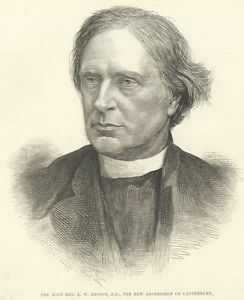 Edward White Benson, Archbishop of Canterbury, was formerly an Assistant Master at Rugby School and Head Master of Wellington College. William Thomson, Archbishop of York, previously a tutor at Queen’s College, Oxford, was a Fellow of both the Royal Society and the Royal Geographical Society. 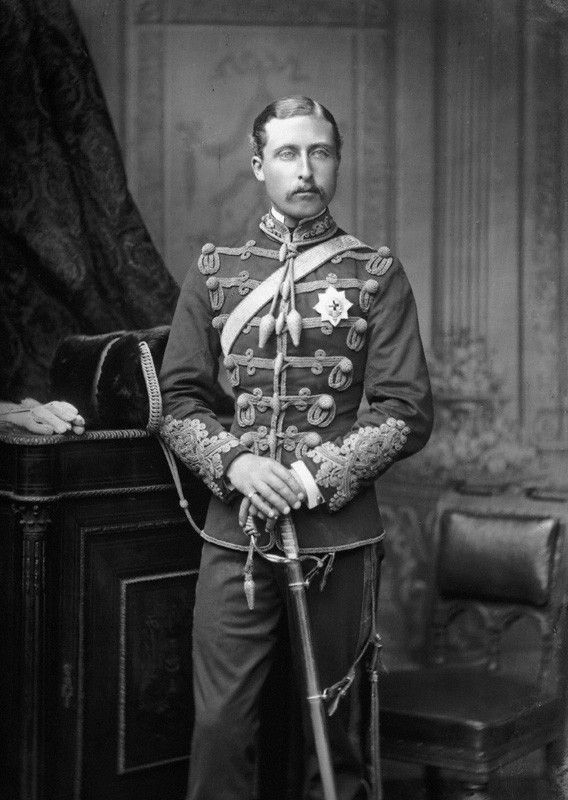 Prince Arthur, Duke of Connaught, a career soldier, was then a Colonel in the British Army. Patron of the Royal Albert Orphan School, he was Queen Victoria’s favourite son and Godfather to the present Queen. 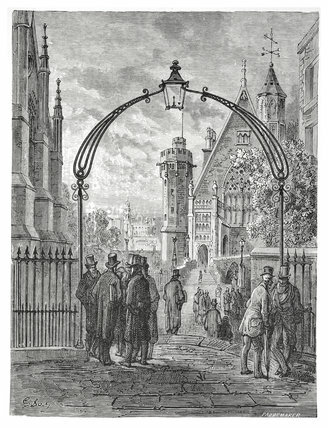 Working from Church House, Dean’s Yard, Westminster, S.W., London, the Company began active work in the establishment of schools at the beginning of January 1884. 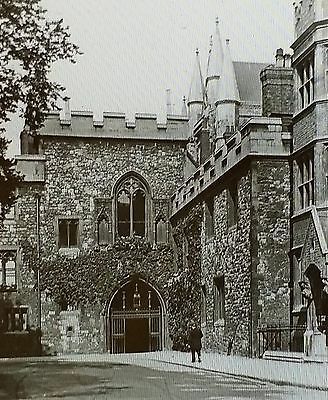 The first school was opened under its auspices at Surbiton, for girls only. The Company were very soon inundated with requests for schools. An etching of Dean’s Yard, Westminster, in 1872 (above) and photographed at a later in the 1900s (below). Newcastle upon Tyne enquired about setting up a school very early on and Volume 1 of the CSC Council Minutes records that this proposal was duly discussed and a resolution was passed on May 29th 1884. It was a principle of the Company not to undertake the establishment of a school unless a certain proportion of the capital required was subscribed from within the locality interested in founding it. By 1897, over 12,900 shares in the Company had been taken up, representing over half the nominal capital of £100,000. The Share Certificates were printed by Richard Flint & Co. and were hand signed by the Company’s Directors and Secretary. The example below, sold on eBay, dates from 1884, the same year that Newcastle approached the Company. The Secretary at that time was the Mr. Wilfred D. Grant. 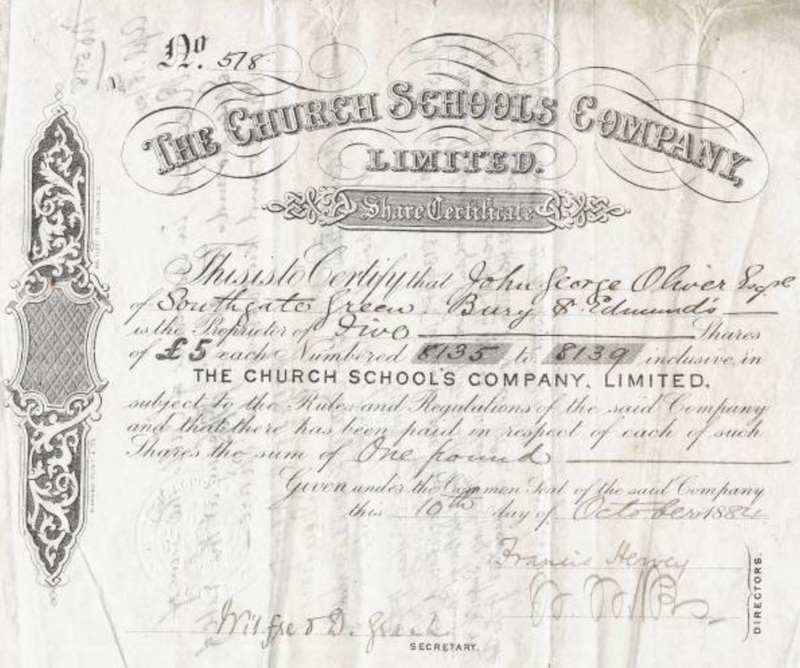 1884 Share Certificate for the Church Schools Company, Limited. The number of appeals received from various parts of the country for the establishment of a school of this type clearly denoted a real need and justified the Church of England’s efforts to assist in meeting it. Council member the Rev. W. Wilks acted as Hon. Secretary, travelling up and down the country in this role responding to applications. As the workload was exceedingly heavy, a paid secretary was appointed in December 1883. Mr. Wilfred D. Grant was the Company’s first secretary, aided by Mr. F.W. Pittman as office clerk. He, in turn, became secretary in 1908, serving until 1929. His daughter, Ruth, followed in his footsteps until her death in 1952. This strong sense of company loyalty was also seen at Church High. At the time of writing, three histories of the Company have been published. The first, ‘The Church Schools Company 1833-1933’, published by The Church Army Press in Oxford, is now very hard to come by, but second-hand copies of the second (‘A History of the Church Schools Company, 1883-1958’, by Enid Moberly Bell, published in 1958 by S.P.C.K., London) occasionally appear for sale online. The third, Valerie Hope’s ‘The First Hundred Years of the Church Schools Company’, a slimmer affair offering little new and largely focusing on the schools still in existence, was published in 1884 by Queenprint Ltd.
Edith Moberly Bell’s 1958 history. 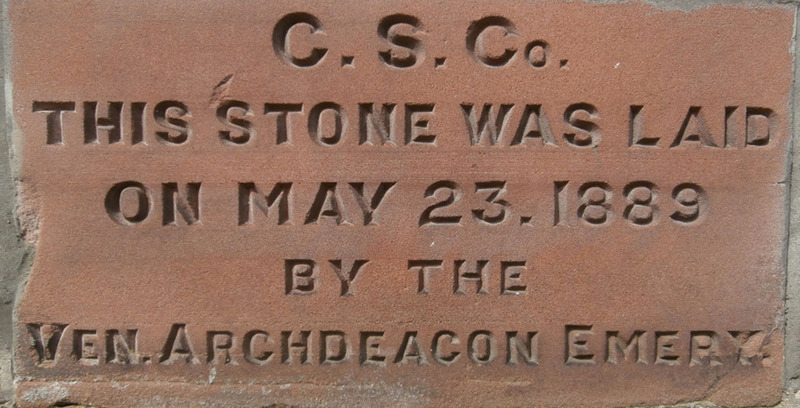 William Emery, Archdeacon of Ely, does actually have a memorial: the Newcastle High Foundation Stone. Members of the Church Schools Company Council regularly made visits to the schools around the country and, thanks to the Internet, we can now flesh-out the lives of these enlightened men, who gave freely of their own time so that others could have doors opened to them via a good education. And despite the initial founders being entirely men – as was normal for their Age and more particularly in the Church at this time – for the large part it was girls of the middle classes, for whom there had previously been no provision at secondary level, who benefitted. The initial omission of women on the Council was swiftly remedied by the appointment of Miss Beale and Miss Buss, as well as Miss Helen Gladstone (the youngest daughter of the Prime Minster, William E. Gladstone) and Miss Laura Soames, who provided a house in Brighton for the Company to set up a school. A forerunner in the field of Phonetics, Miss Soames came to the attention of the education professions through her work applying phonetic principles to the teaching of reading and the pronunciation of English and foreign languages. She would go on to publish an ‘Introduction to Phonetics (English, French and German)’ in 1891, for which Dorothea Beale wrote the Preface, and ‘The Child’s Key to Reading’ in 1894. 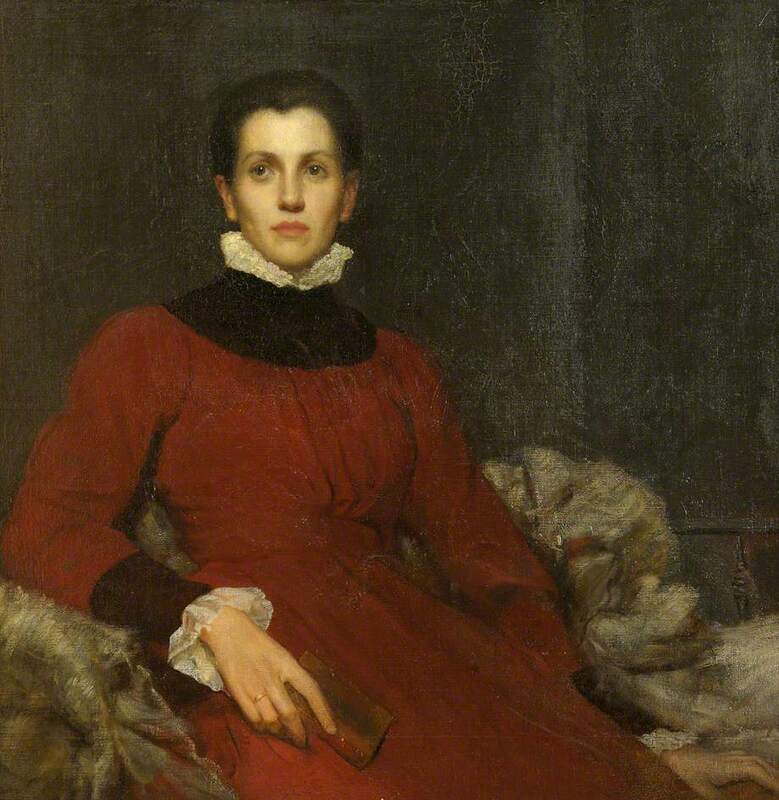 Miss Helen Gladstone, who volunteered to travel north on behalf of the Company in 1890 in order to open the new Newcastle High School building, was then the Vice-Principal of Newnham College, Cambridge, in charge of Sidgwick Hall. 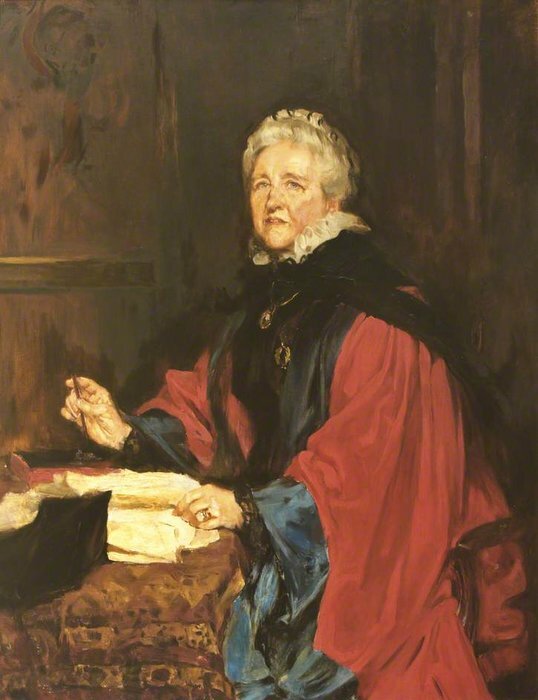 Dorothea Beale, Suffragist, educational reformer, Principal of Cheltenham Ladies College and founder of St Hilda’s College, Oxford. 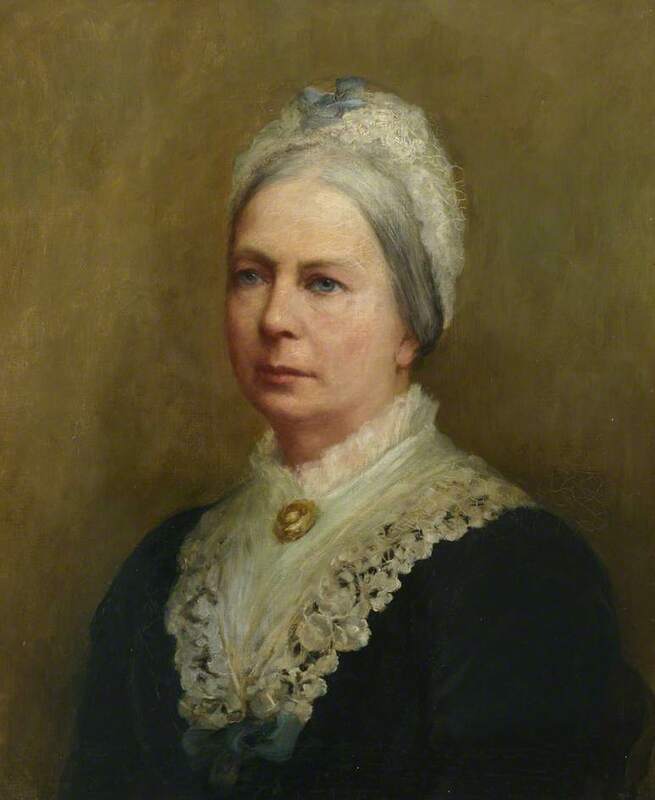 Frances Buss, Suffragist, pioneer of education for women, Head Mistress of North London Collegiate School and founding President of the Association of Head Mistresses. Enid Moberly Bell provides us with a little more detail about the two great pioneers of girls’ schooling, Miss Dorothea Beale, Principal of Cheltenham Ladies College and Miss Frances Buss, Head Mistress and founder of the North London Collegiate School for Ladies, and their service on the Church Schools Company Education Committee. It seems that Miss Beale was an original member and Miss Buss a slightly later addition. The Education Committee undertook most of the work connected with the appointment of all new Headmistresses. At Newcastle High School, they appointed our first three Headmistresses: Miss Ackerley, Miss Sidall and Miss Gurney. Miss Buss also seems to have undertaken the role of travelling from one Company school to another representing the Council. In her later 1984 history, Valerie Hope also makes clear that, from the Company’s earliest days, the valuable contribution talented, educated women of their day could make to the cause of girls’ education was fully embraced. Newcastle High School is only briefly mentioned by Ms. Bell, hardly surprising as the School took steps to Decentralize from London as early as 1909 before becoming a self-governing Independent Church School in 1925, when ‘Church’ was added to the school’s name. We then became The Newcastle upon Tyne Church High School. This is the second major distinguishing feature between the schools of the Girls Public Day Schools Company and the Church Schools Company. The latter actively supported their most successful schools in breaking away from the Company – a step further on from Decentralization from London – on the generous understanding that, if the venture failed, the school would be welcomed back under the Company’s aegis once again. Ms. Bell notes that Newcastle is listed as one of three Company schools which had flourished to the point they had outgrown their original homes and required a new building. As an example of the Company’s keen business instincts, she also records that when the architect suggested to the Council he should “put in the electric”, they decided it was safer to stick to gas. Her reference to the success of the new building prompting the British Association to apply for permission to meet in it during their Newcastle convention of 1889 I now know to be incorrect, however. It sent me on a research ‘wild goose chase’ for some while, but photocopies of the Company’s minutes relating to Newcastle in Tyne & Wear Archives finally made clear they wanted Jesmond Road. Writing the Company’s Centenary history, Valerie Hope provides a useful insight into the make-up of the Local Committees who were required not only to prove the demand for establishing a Girls High School in their area, but also to produce part of the capital needed. These Committees were made up of local people who had all bought shares in the school. Typically, they would include local clergy, probably the diocesan bishop, businessmen, professional people and local dignitaries. They were required to meet at the end of each term and receive a report from the Headmistress on the School’s progress which they would then transmit to the Council. The Company retained ultimate financial control of the schools and appointed the staff, but it was the job of the Local Committee to consider requests for repairs from the Head Mistress, advise and assist her in any emergency or difficulty and promote the interests of the School and the influence of the Company. Local Committees were able to authorise expenditure up to £10, always keeping the Company informed. They were also empowered to appoint assistant staff. Following successful approaches from both Sunderland and Durham, Newcastle upon Tyne made an application to the Church Schools Company early in May 1884, the initial letter written by Mr. B. C. Browne. From the School’s Jubilee history, we know that the Council sent two representatives, Canon Holland and Canon Gregory, to visit Newcastle and report on the proposal, leading to the Council resolving to “establish a High School for Girls at Newcastle” on May 29th 1884. 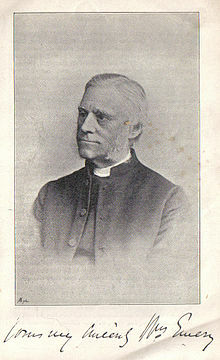 The new Bishop of Newcastle, Dr. Ernest Roland Wilberforce, consented to act as Patron for Newcastle High School for Girls and the inaugural Local Committee was formed. Thankfully, all the names were put on record: Mrs. Wilberforce, Canon Lloyd, Mr. B. C. P. Bosanquet, Mrs. W. Boyd, Councillor B. C. Browne, Mrs. W. D. Cruddas, Councillor T. G. Gibson, Archdeacon Hamilton, Mr. E. A. Hedley, Mrs. Pennefather, Mrs. J. Spencer and Miss Hewison, who had owned the foundation school, acting as the first Local Secretary. Again, because it was by then no longer a Company school, Newcastle High appears only twice in Ms. Hope’s centenary history. One is a mention of Decentralization but the other is in relation to a very special Prize Giving held in the new Tankerville building. Owing to the fact the Church Congress was meeting in the North at that time in 1900, she records that ‘Sunderland, Newcastle and Durham [High Schools] held a grand prize-giving in the large hall of Newcastle Church High School.’ (The change in the school name seems to have caused both writers of Church School Company histories some problems). 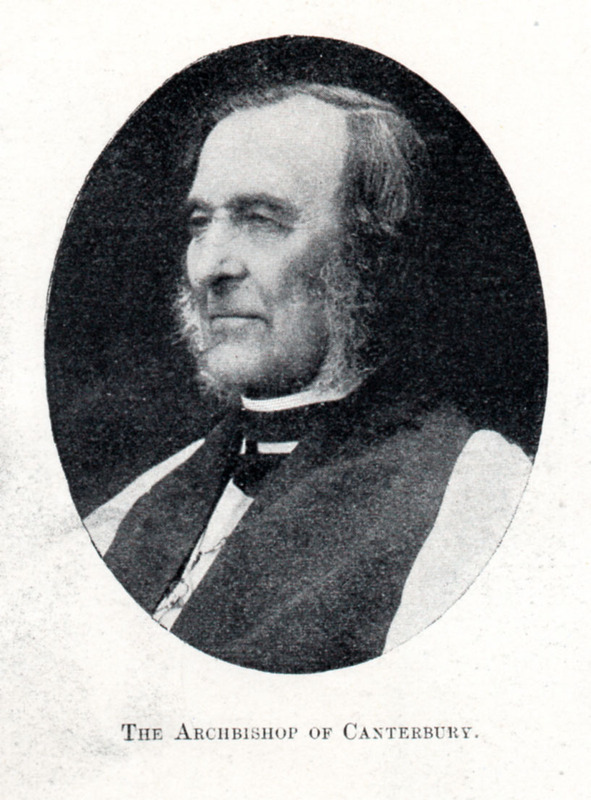 Frederick Temple, Archbishop of Canterbury at The Church Congress in 1900, as photographed for The Illustrated London News by J. Russell & Sons. 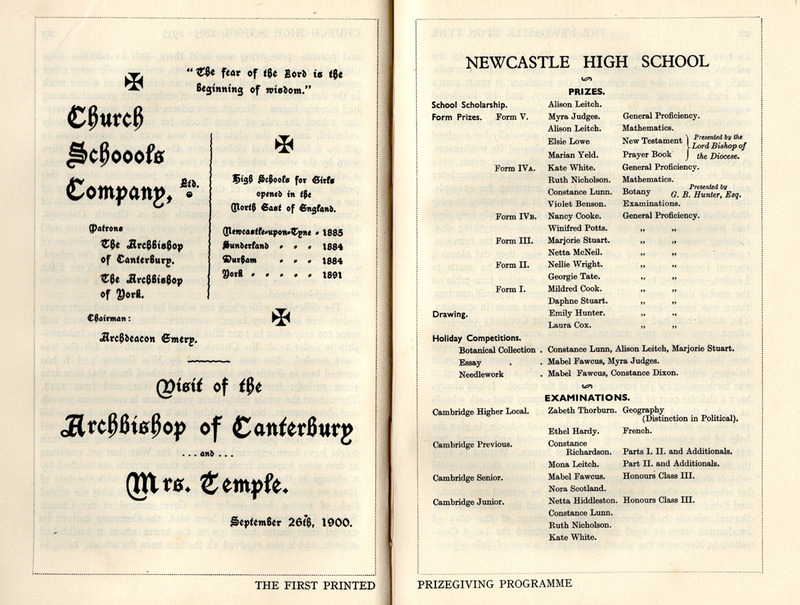 The programme for this Prize Giving, held on September 26th, was reproduced in Church High’s 1885-1935 Jubilee history. Frederick Temple, the Archbishop of Canterbury who would crown King Edward VII only two years later, addressed the School and distributed the prizes with the help of Mrs. Temple. The Chairman that evening was Archdeacon Emery of Ely, the Chairman of the Company. 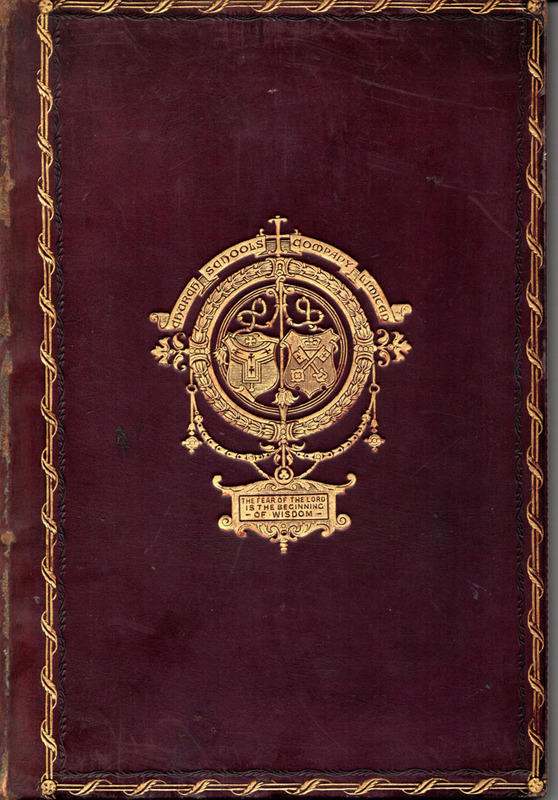 Ms. Hope writes that in Company schools ‘Virtue and hard work were rewarded and Prize Day was the high point of the year with beautifully bound books and prizes, specially stamped with the school’s crest and motto’. However, in the very earliest days of the Company, it seems the prizes were even more special than that. Finally, after over two years of searching, I managed to locate a Bickers & Son of Leicester Square, London, polished calf leather prize-binding created for Newcastle High School. Interestingly, it was being sold by Henry Sotheran Ltd. of Piccadilly, the longest established antiquarian booksellers in the world. In 1886, it turns out the gilt logo engraved on the front of the prize was not the School’s but that of the Company itself. It’s a really beautiful thing. A true indicator of our School’s prestigious status and also the wealth of history and educational innovation which brought Newcastle Church High into being. 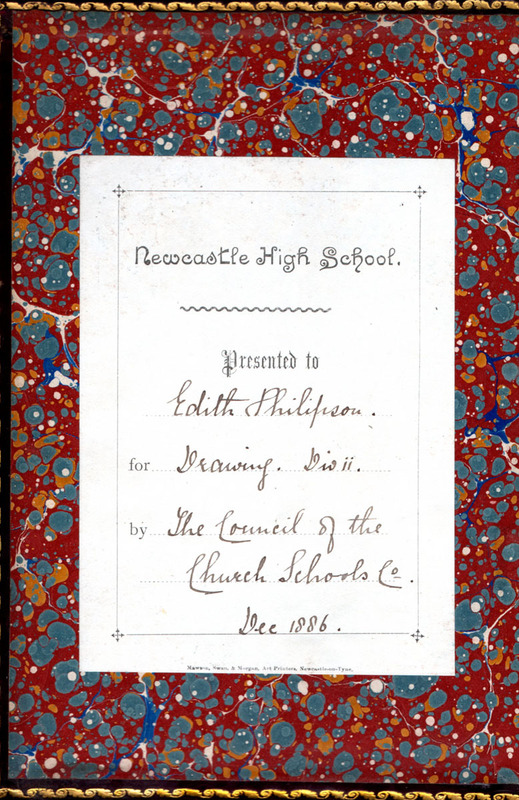 Front cover (above) and the front endpaper pastedown (below) of the Newcastle High School 1886 prize-binding. ‘A History of the Church Schools Company, 1883-1958’, by Enid Moberly Bell, published in 1958 by S.P.C.K., London. 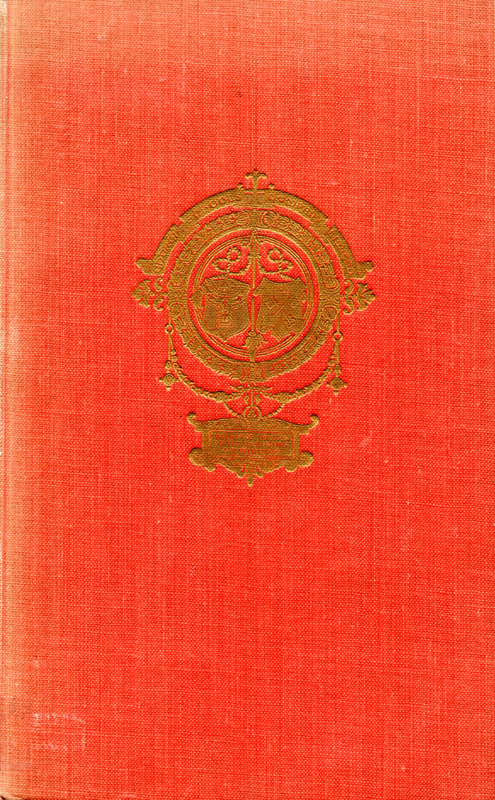 ‘The First Hundred Years of the Church Schools Company’, by Valerie Hope, published in 1884 by Queenprint Ltd.
‘125 Years of Durham High School for Girls: A Birthday Celebration’, published in 2009 by Third Millennium Publishing Limited.